In context: Intel has responded to AMD’s troll-like twitter post from earlier this week, in which the company offered 40 winners of the Core i7-8086K an opportunity to trade in the chip for a Ryzen Threadripper 1950X. Intel officially revealed the Core i7-8086K at the recent Computex event in Taiwan. Only 50,000 chips are being made, which commemorate the 40th anniversary of the 8086 processor. Part of the celebrations saw Intel launch a sweepstake on its website that offered people the chance to win 8,086 of these CPUs. 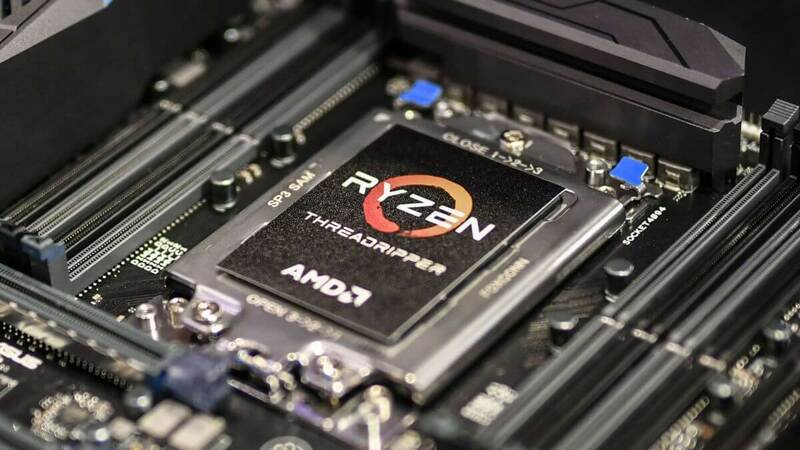 The competition was only available for 24 hours between June 7 – 8, but AMD recently decided to reveal a related promotion of its own: 40 winners can swap their Intel CPU for one of the red team’s 16-core / 32-thread Threadripper processors. While we’ve seen plenty of twitter wars between companies turn ugly, it seems both tech giants are having fun with this one. For those winners who do intend on exchanging their Core i7-8086K for a Threadripper, AMD will reveal details of the offer on June 25. It’s open to US residents, and only the first 40 people will qualify. The Core i7-8086K offers similar performance to the Core i7-8700K (our best no-compromise gaming CPU), though the base clock speed of 4.0GHz makes it 300MHz faster than the flagship’s base and single-core turbo frequencies. For multi-threaded workloads, however, it can’t match Threadripper, which is over $300 more expensive.